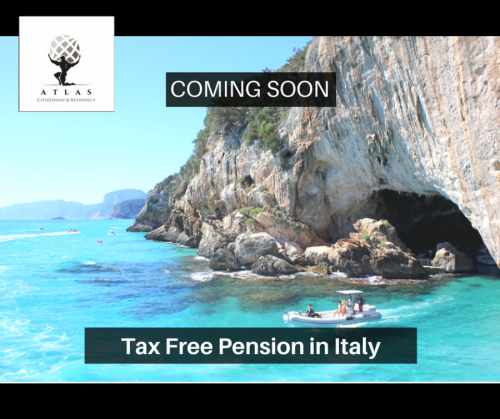 New Tax Free Residency Scheme in Italy for Retirees – Coming soon! UPDATE: NEW LAW PASSED. 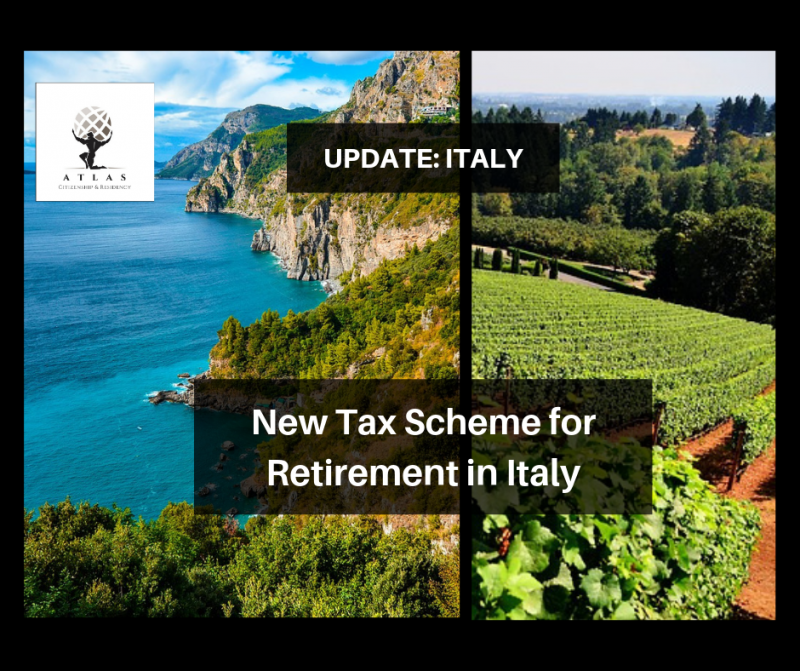 SEE New Law for Retirement in Italy. A new law is under consideration. One that will benefit retirees with a tax free pension for 10 years if they move their fiscal residency to Italy. Specifically, selected areas within a few regions of Italy will qualify. Namely Sicily, Sardinia or Calabria. Several days ago, the newly elected Italian government announced the basis of this scheme. 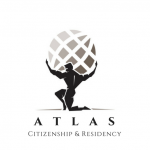 Its open to Italian citizens, EU and non-EU nationals with requirements to spend at least 6 months a year in Italy. 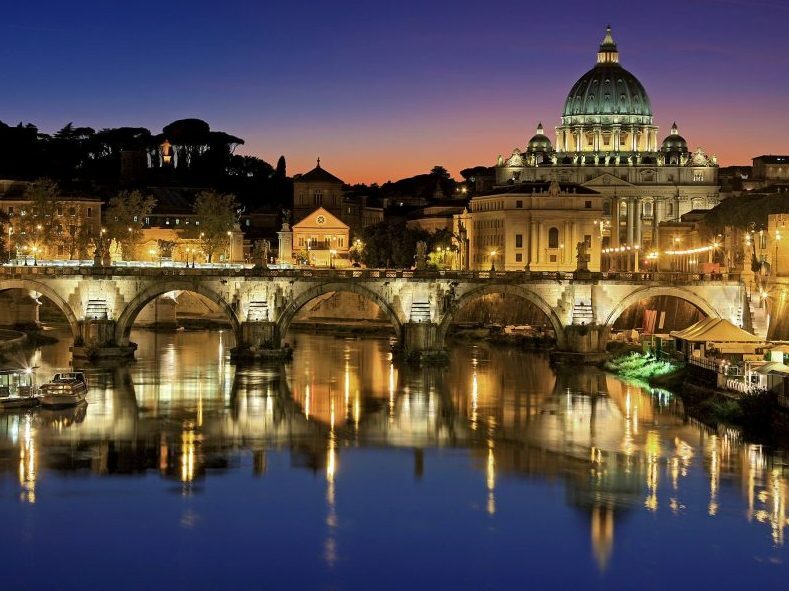 With the 100,000 Euro Flat Tax and Italian Investor Visa programs, already under way, Italy is aligning with some of its EU counterparts in trying to attract capital and foreign wealth into the country in exchange for a taste of the Italian lifestyle.. So far, it seems to be working. For example, football player Cristiano Ronaldo announced his relocation to Italy just last month. What Other Countries are Attracting Retirees? The tax exemption under review is similar to that of Portugal’s. 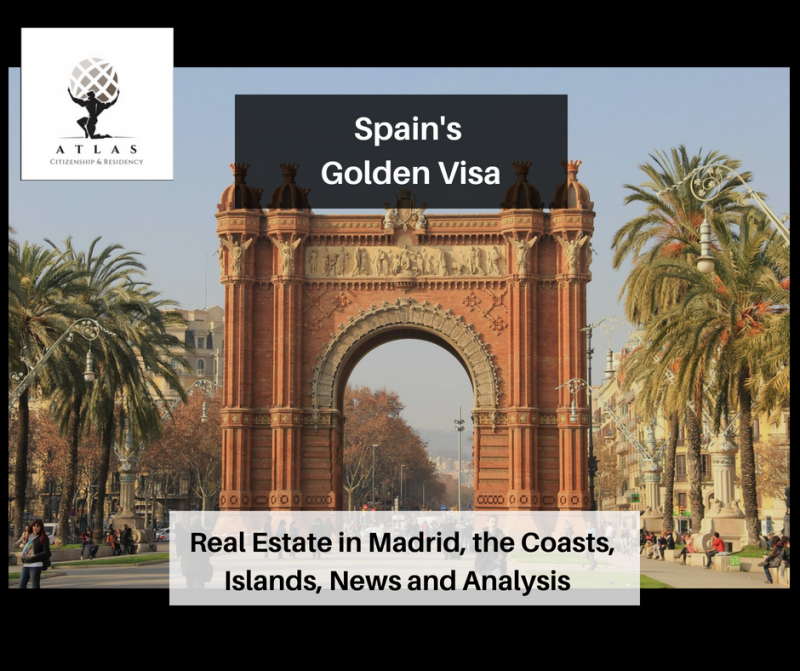 Portugal has been offering the tax scheme since 2009 and saw nearly 4,000 Italians relocate there last year to receive their pension tax free. That’s a savings of nearly 30% every year. Italy is starting to catch on. 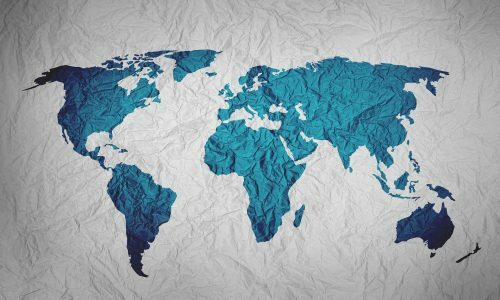 Apart from Italy, countries like Panama, Cyprus, Malta, Romania, the Canary Islands, Tunisia and Bulgaria have all been attracting retirees for many years from across the globe. Their climates, access to sea, lifestyle, safety, low cost homes and rents and tax incentives are all attractive variables. 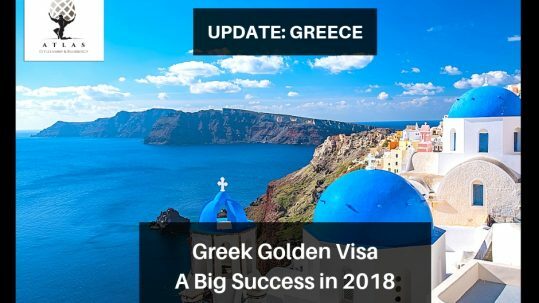 The Government is aiming to bring 600,000 new inhabitants into the three regions within the next 3-4 years and increase GDP by 1%, an increase of about 17-18 billion euros. According to the statistics for the last 16 years, 1.8 million people have moved out of southern Italy, especially the young. Sicily, Sardinia and Calabria are regions that are already well known for tourism and may become attractive to British, Swedish, Norwegian, French and Russians but also Northern Italians who wish to enjoy the South. The areas willing to attract new retirees and become “tax free” will need to meet a few requirements first. They must demonstrate that a depopulation of 20% has occurred within the last 10 years, be recycle friendly, have a decent urban décor and a developed healthcare system.